Combination is a magic that lessens equipment, making life more convenient and easy. We are witnesses to how our living environments become better due to combination. Cases in point include our 3-in-1 coffees, smartphones (computer and phone in one) and many others. Also, 8 years ago, Virtualization became more common as a new technology to reduce IT cost through reduced equipment. Even legacy systems and new hardware could be combined. That is why, and we know how, many organisations –including SMEs— have taken to virtualization environments. Virtualization is a technology to which an application, guest operating system or data storage is abstracted away from the true underlying hardware or software. Simply put, it is the separating of your hardware (allocating your hardware resource) to set up multiple OSes. It is the total opposite of traditional structures, which use singular hardware per Operating system. 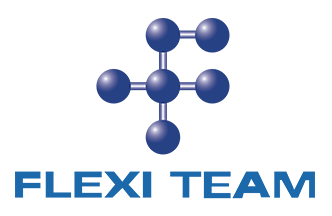 As a Microsoft Partner and VMware partner, Flexi Team follows that trend and has been providing consultations and configuration of virtualization systems since 2009. As our company mission is to use IT to help organizations maximise profit, we always look for advantageous technologies and new opportunities to help our customer grow their business. Hence, we’re always prepared to offer you the best solutions for your business. Save on hardware cost, maintenance cost, and even manpower cost. Provide lower cost of high availability solution (reduced downtime due to hardware failure) as compared to the traditional setup. Save time setting up a new server. You can now set up a new server immediately without having to purchase any hardware. Achieve redundancy from geographic limitation. VMware provides cloud virtualization software and claims to be the first successful virtualize hardware commercially. Founded in the year 1998, VMware solution has been approached by many of Multinational Enterprise (MME) and Small and Medium Enterprise (SME). Nowadays, IT operation becomes more important and many businesses will be encountering operation downtime. As a result, the business might lose a customer, tarnish its reputation, or even increase the cost of operation. VMware vSphere is a reliable OS platform to build your Virtualization Machine (VM Server) to ensure your multiple servers in single hardware is stable and performing at a high efficiency. 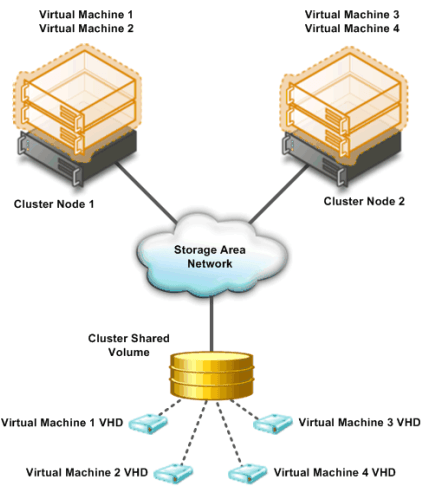 Through their platform, you can calculate and allocate resource for each of VM. VMware vSphere provides limited backup system – data protection to ensure your organization can save your database, app, OS, file to another device to prevent any loss in the event of hardware failure or human issues such as virus or user error. Vcenter provides a console for an administrator to understand the status of the host and even the multiple VM. It makes life easier with a lesser procedure to maintain. 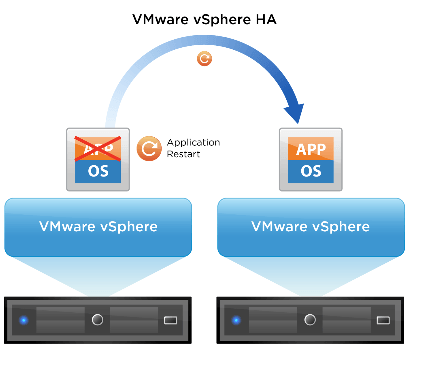 Vmware vSphere also provides HA (high availability) to ensure you are safe from a single point of failure. It protects your IT operation by switching the server automatically from a single host to another host. 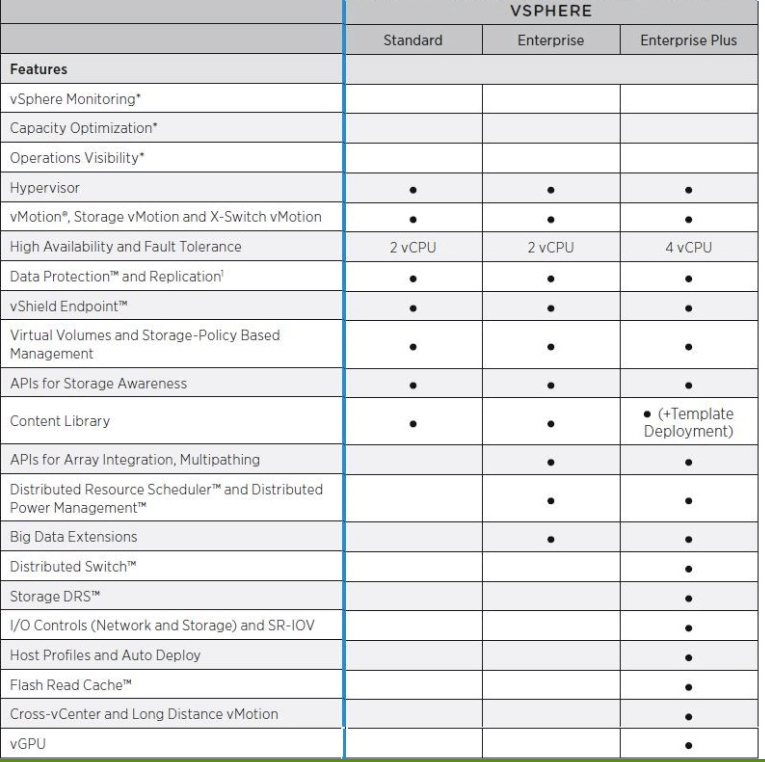 VSphere has the technology to combine not only the server but other sections of hardware such as networking and storage. Features to apply in different section included Storage DRS, Distributed switch, DRS, Storage Vmotion and others. Microsoft Hyper-V is a product of Microsoft which launch and apply in Windows Server 2008 in the year 2008. It is bundle under Windows Server 2016 standard or above license. It provides a free license for a platform who only requires Hyper-V.
Hyper-V is a software platform to set up Virtualization machine (VM). It has different a bit with Vmware (which is a host of VM) and can be with other Windows Server OS or pure HyperV OS. Due to its bundle feature, it comes with Windows Server license. Many SME and MME are willing to implement to fully utilize their hardware well. Hyper-V provides HA, replication, storage migration and also limited backup solution as well. It is another product for you to choose if you encounter budget limitation. 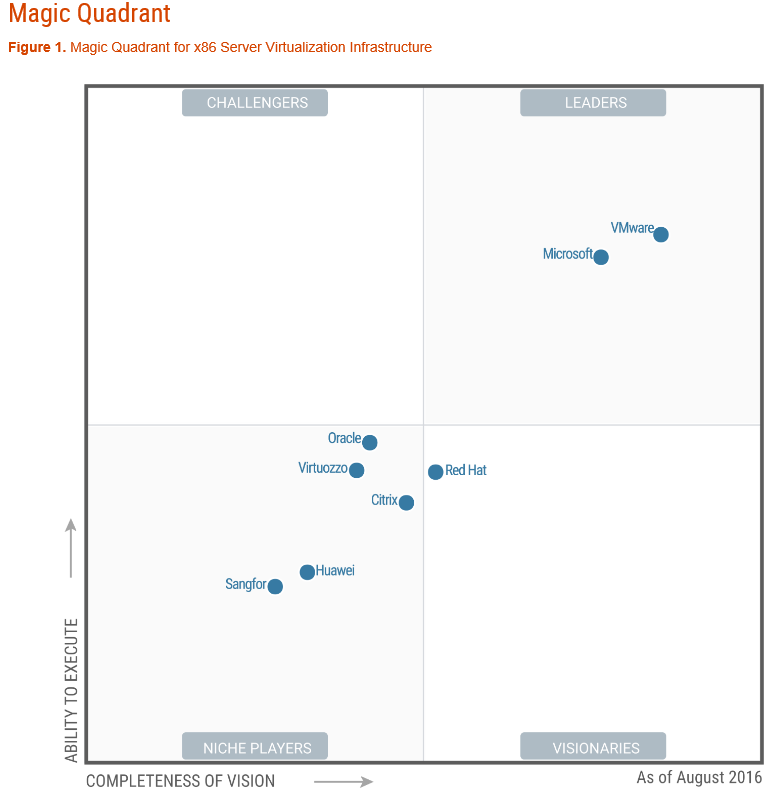 VMware and Hyper-V is a common product in the world. Both products occupy around 80% of the market share. Microsoft and VMware stay in the Leaders status in Gartner Report (a third party organization who research and act as an advisor for the industry). We welcome you who are interested in the above products to contact us for further understanding of the features. We will also provide consultation according to your objective and business model, to ensure you can make a good decision when choosing virtualization.